I have so deeply enjoyed this course and am bubbling with gratitude. There have been some expansive shifts in my life over the past few months and I feel this course will unfold more and more for me for the rest of my life. Thank you for letting me be a part of this series. I appreciate your work. Nancy M. Mae has master’s degrees in clinical psychology and cognitive psychology and a master certification in Intuition Medicine®. Combining this training with her personal experience, she has developed powerful ways to encourage women to look deeper, let go, and find self-love as an integral part of bringing a baby into the world. 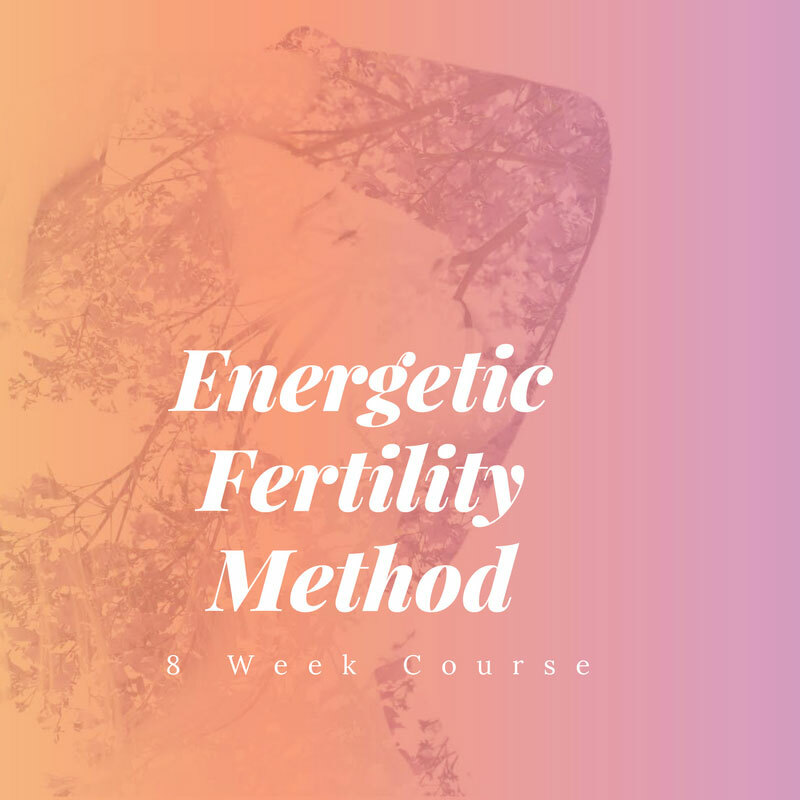 The Energetic Fertility Method helps us understand the basic principles of energy and how it flows through and around the body. Once you get how it works, it just makes sense to identify the stuck places and get the energy moving again. In Nancy’s words: “In order to bring in a baby, you want and need your energy to flow optimally- for yourself and the new life you are creating.” For many people, the assertion that stuck or flowing energy could influence fertility or anything else might seem like a strange and new idea. Luckily, The Energetic Fertility Method includes lots of basic information and simple techniques to get the point across. Using the unique qualities of the seven basic energy (chakra) centers, Nancy takes the reader on a journey to address emotional concerns, release judgments, set affirmations, and invite personal growth and healing. As she says, “Acknowledgement, allowing space, forgiving, and letting go are important steps in helping to align your energetic systems with optimum fertility.” Using the chakras as they’re traditionally aligned with survival, creativity, personal power, love, self-expression, intuition, and spirituality is a brilliant way to get deep and be comprehensive. For instance, if you feel some unease or tension in your throat chakra, you might want to investigate your communication issues, creativity, and how you express you inner truth. After you look closely, you can be proactive and get it moving by following Nancy’s “Creative Energy Exercise” and journaling assignment “Family of Origin Exercise”. It makes sense that getting things moving and getting rid of old baggage is a good way to open the channels for something new to come through, whether it be deeper understanding, broader perspective, another opportunity, or new life. The perspectives and techniques in this book are helpful to any one who wishes to get pregnant, anyone who is pregnant, and, truthfully, for anyone who wants to free the flow and show up for life. A gifted writer, teacher, and coach, Nancy Mae has given us tools for self-healing and renewed hope. Nancy Mae is a master of the art of connecting with energy and an extraordinary teacher. In this transformative work she teaches us to be sensitive to and present with our selves so that we can become familiar with our own energy body and the baby spirit we wish to bring into our lives in body. This book contains fundamental practices for changing our connection to our patterns, our energy and ourselves. Nancy Mae marshals a wealth of exercises and guidelines and leaves us with a solid practice filled with tools for being deeply present in the process of inviting in a child and of living life. Each chapter has guidance for various learning styles with an invitation to practice in those different styles. If we are unfamiliar with our own style, we learn, through the process of following her guidance, more deeply about our own styles of practice. Moving through the chakras we are invited to create a container for building a practice that addresses our own blockages on each level of our energy body in a way that suits us best. Her work helps us to explore the roots of our struggles and emotions (both emergent and hidden) and empowers us to connect with ourselves in such a way as to find the answers to the questions that arise when we listen deeply. How do we really feel about our bodies? Our fertility? Our emotions? Parenting? Our spirituality? How do we let go of things in our field that we do not even realize we are holding? Her beautifully personal style invites us to feel a sense of connection and community in the process of transforming our infertility into health and wholeness. She shares personal stories of her own and from her practice with warmth and sensitivity that invites vulnerability and openness. Wherever you are in your journey, there is something to learn from The Energetic Fertility Method by Nancy Mae. Pure enjoyment, release and intuitive growth with this workshop. Thank you for the wisdom and information I received. You gave a lot of concrete evidence of what to do. The grounding exercises were very powerful. You could feel the energy flowing. So nice!!! I’ve already used the techniques I learned and taught them to my son who also felt a difference. I trust that what is meant for me will come, just like the spirit babies. You radiate love and that was felt. Thank you! Nancy Mae’s Flow and Grow course is a simple to understand and convenient at-home practice that provides a step-by-step guide to clear, align and work with energy systems within the body. Each module of this gently delivered program is filled with a wealth of information about one of the seven main chakras systems and how that energy meridian affects the physical body, mind and spirit. At the end of each module, there is an opportunity to complete “homework” assignments. I personally felt these assignments not only helped me to integrate the lessons learned, but also gave me the opportunity to put the tools into practice in a way that created real shifts for me in my personal relationship with myself, with others and even in my business. Having this course on-line and on-demand allowed for me to complete each module at my own pace and repeat the modules that I felt resonated with me the most. I look forward to continuing to put into practice what I’ve learned. I cannot recommend this course highly enough for anyone who feels stuck, stagnate or unable to move forward. It’s a real gem. Working with Nancy is a delight. She taught me fantastic tools to protect my energy. The EFM course covers a range of rich and deep territory, readying the mind, body and spirit for pregnancy. I was grateful for all the shifts that occurred, large and small. I found Nancy when I was finishing up my integrative health and wellness coaching certification. I wanted a coaching mentor and I reached out to Nancy, who in a sense, took me under her wing. I started her training in October 2015. I was studying the use of coaching for couples struggling with infertility. This topic is near to my heart because I was in the middle of my own infertility journey. I felt stuck emotionally and even though I had previously had powerful dreams and shamanic experiences where I could see my baby, it wasn’t until I worked with Nancy that I was finally able to see the blocks and past hurts that were lingering within my body and energetic space. Nancy helped me see how my energetic space was not allowing my baby to step in. After working with Nancy, my husband and I conceived after one round of clomid. I was not expecting it to work so fast for us, but it did. I attribute a lot of my fertility success to the work I did with Nancy. Her book and her intuition were such a gift to me. In addition, as a professional coach, I added some incredible tools into my coaching toolbox that I have used with clients of varied needs. I would recommend this training to coaches wishing to expand their expertise and who desire a fresh and unique approach to fertility and health. Just as we breathe air and drink water, there is an energy flow that everyone and everything is a part of. 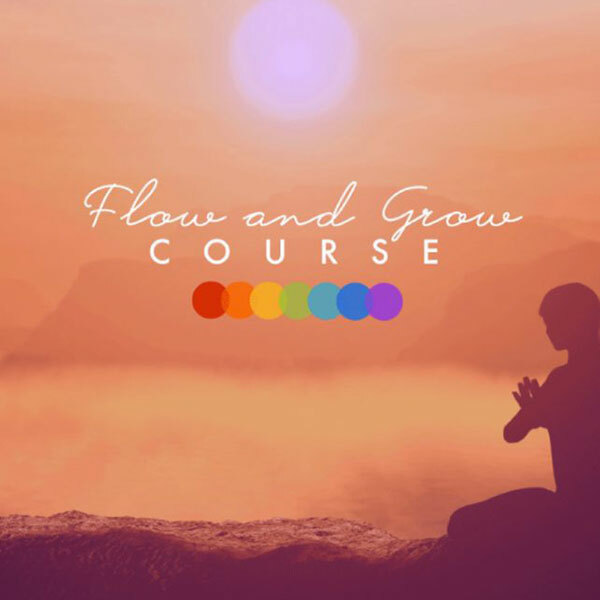 The Flow and Grow course makes understanding and embracing this flow accessible to everyone, from the most analytical to the most earthy. Most people would hire a plumber for help with issues relating to plumbing in their house. Why wouldn’t you take care of yourself as well? It’s helpful to take care of your own personal life flow with a learned professional like Nancy. Her calm and sure voice gives just the right amount of sureness, imagery and helpful examples to guide anyone to profound healing and growth. I completely endorse Nancy Mae and her Flow and Grow course! I just wanted to let you know I’m pregnant after my spirit baby reading a few weeks ago. How quick was that! My reading would’ve literally been a week before we conceived. I just wanted to say thank you again for the reading. I’m so glad I made that appointment with you and can’t wait for the adventure. During my session with Nancy Mae, her intuitive insights struck me, bringing forth tears that I feel when I hear a truth that needs to be acknowledged. She revealed values of myself that I have always loved and would like to integrate into my life’s work. Her clear communication and compassion allowed me to see that my work will come more alive for my clients and myself if I ground them in deeper aspects of my being. I have been working with these ideas and will be ready for another session very soon. I have enjoyed working with Nancy Mae tremendously. Her insights have resonated deeply and allowed me access to parts of my childhood that other work has not touched. I feel that the tools she gave me to stay in touch with these younger parts of myself have been very effective and have helped me when I feel discouraged. There is something both very encouraging and powerful about Nancy’s work that I highly recommend. Nancy plus a great talk therapist is like adding 2 + 2 and getting 10! I ride the emotional roller coaster of life sometimes well, other times quite stumbly. Here is the way I describe the work of healing with Nancy Mae. Talk therapy can only tap into the cognitive world of which I may not be aware yet. Nancy’s work finds the “more,” that is, the underbelly of the emotional iceberg that lives in the subconscious and in my cells and in my deep roots of generational dysfunction. My family of origin remains deeply entrenched in the spider web weave of alcoholic family dysfunction. I will never have the warmth I crave from the nurturing of a comforting mother. My sister is estranged and chose distance from me as well. I suffer from feelings of inadequacy and am working towards healthy empowerment. What I know now and have and continue to practice daily, thanks to Nancy, is that my comfort level with emotions and my ability to function more balanced in my world is my responsibility. When I anchor myself to Mother Earth and ground my energy within and make decisions about choices from that place, life goes better for me. I am extremely grateful. Nancy plus a great talk therapist is like adding 2 + 2 and getting 10! The synergy between the work with Nancy and talk therapy takes me to growth edges that I don’t think are possible with talk therapy alone. How can I be so sure of this you might ask? I have been in talk therapy since 1995. I have been working with Nancy in collaboration with an excellent talk therapist for less than a year. The amount of change for me and the depth of wounding I have been willing to allow Nancy to help reveal and heal is the deepest and most effective work I have experienced. I absolutely still need and confirm the use of both my talk therapist and Nancy in tandem. Nancy can open up the deep deep wounds in ways with which I can now do work with my talk therapist and Nancy to resolve. I have had an addictive relationship with both food and money since about age 10. I have been willing to delve deeply into the wounds these behaviors comfort only since adding Nancy to my health protocol. The evidence speaks for itself. I have maintained a 17 pound weight loss for about 8 months and have been under budget this year for the first time in my adult life. Nancy Mae is a highly adept intuitive. She is compassionate, fun to work with, and extremely informative. I enjoy working with her and do not hesitate to refer my friends and patients to her as well. After my first session with Nancy Mae I felt remarkably calm and expansive. I felt affirmation around my pursuits and an optimism for all that lies ahead, and Nancy Mae helped me unearth those positive and valuable feelings. In our sessions together, Nancy Mae and I continue to work to clear past and negative experiences and to release an energy that is grounded in the present and in love. She possesses an intuition and compassion that nurtures, and I do feel that she has been called to help others in the process of knowing, trusting, and loving ourselves. I want to thank you so incredibly much again for all of the help you extended. We were blessed with a beautiful baby boy in October 2018. His demeanor is as you described (a gentle, sweet, calm disposition). Looking back, I do not understand why I was overcome with so much fear. He is such a wonderful little boy. We are very blessed! I am very grateful for the work that you do. Thank you very much for everything. God bless you infinitely. Working with Nancy has allowed me to grow with forgiveness, compassion, purpose and inner love of which I am truly grateful. This course is amazing! Very well put together with heart, integrity and focus. The format for progressing through the chakras is perfect, the exercises are clear and simple and profound, and the level of work you’re asking people to do/making available to go deeper is great. I love how the program is completely positive even when looking at areas that can hold difficult emotions and even when the process of “trying to get pregnant” can have a feeling of coming from a place of lacking. Nancy allows for energy and abundance to grow and in a gentle, natural way. I have really enjoyed working with Nancy. She has such a gift! She is so calming and thoughtful in her approach. You can tell she really cares about the work she does and that translates into feeling completely at ease with her. She always takes plenty of time at the beginning of the session to go over everything we’ve previously discussed and talk about any new concerns. She offers plenty of tools to use on my own and I’ve found them to be amazingly helpful in my daily life. I am now pregnant and I truly believe that working with Nancy helped me on my path to motherhood. I wouldn’t hesitate to work with her again – especially with any big life transitions or health concerns. Thank you for all of your help as I prepared for my embryo transfer. The different tools you gave me were amazingly helpful. We talked about projecting gratitude onto the clinic and staff before my visits. I did this and it really helped strengthen my relationships and helped me feel supported. With you, I developed a strong visualization for the day of the embryo transfer, which was invaluable. For some reason, we waited an extra 45 minutes for the doctor to bring the embryo into the room, a potentially nerve wracking experience because no one explained the reason for the delay. We could have gone down a rabbit hole with our worries. But equipped with my visualization, I stayed focused and in a receptive space. I don’t think I’ve ever been so happy. I’m pregnant with a baby girl! The power of the workshop was palpable. I can see my path now a bit more and I spend more time caring for myself than before. Thank you for holding the space and thank you for your beautiful energy! I took the Flow and Grow course with not much of an expectation. I am constantly looking for new ways or tools to use to become “unstuck” spiritually, as this happens to me from time to time. What I didn’t know was that I was in that state when embarking on this course. This course catapulted me into another realm. Nancy’s voice alone had a cleansing vibration to it that is indescribable. The daily affirmations were so cleansing and the experience of this course was much needed. I would recommend this course to anyone who may be feeling stagnant or just plain stuck in their journey. This was truly an amazing course and a blessing to say the least! Why have I been blocking this aspect of my journey? The course forces you in a gentle and supportive way to look at areas that you may not have considered important, but which through participating in the course you realize are vital for fertility; painful but vital. I often thought, “How did I overlook this?” Or in my case, “Why have I been blocking this aspect of my journey?” The course will challenge you, and you will be required to do the work, the necessary work, which through stops and starts I have for the first time started to follow through on. I enjoyed the workshop! This afternoon, there was a moment in my family that gave me stress, really serious stress. I used the mudra that Nancy taught and put my fingers in the right position, breathing into the stress. I calmed down right away. I’m so happy. It is very clear to me now that I must continue to grow and raise awareness and help others. Thank you Nancy for touching a new dimension. I already knew a part of it, but I didn’t recognize it yet. A new door was found and opened. The rest is up to me! I have looked into many resources to support the journey to motherhood, but was discouraged because so many seem to focus on what is “wrong with me” or almost seemed to use my intense desire to have a child as a way to sell me stuff! What I found with the Energetic Fertility Method 8-week online course was completely different. Through a natural progression of exercises, teachings and journaling my energy body was nourished and I had the opportunity to look with compassion at my old belief patterns and mindfully clear them out. Everything in the course is 100% focused on building up your reserves and allowing for the journey of life to be expressed through you and on connecting with your baby’s spirit before conception. I actually felt this begin to happen! I feel more positive and confident about my ability to conceive and carry a healthy baby and more trusting of the process allowing it to unfold, rather than trying to push something forward. I also feel more aware of how to take care of myself energetically in all areas of my life. The resources and tools shared are valuable to revisit again and again…I am very thankful for this course and happy Nancy Mae has synthesized a loving container for transformation. Nancy Mae and I met through my need for guidance in my fertility journey. I felt such intense and beautiful resonance with Nancy Mae’s work, not just personally but also with the work that I do as a yoga therapist and self-care specialist. In my life, my work is very integrated into my life. I live my work and to see that in Nancy Mae, too, was very powerful for me. It generated a strong sense of community, which made me feel that we were in this together. I felt so much transformation and unfoldment working with Nancy Mae. For me, generally it’s hard to find someone to help me with my process because I need to feel that the people I’m working with are also doing their work. I felt that Nancy Mae was doing her own personal growth work, not just trying to teach something that’s theoretical but actually experiential in her life. Nancy’s experiential relationship with the work she teaches was hugely powerful. It’s not something she read; it was something that she’d done. Our journey was such an interesting and complicated one coming to these places where it felt like a dead end and then finding in the unfolding these new pathways. My blockages were not where I imagined they would be. I can talk to the baby’s spirit and I can meet Nancy there so well. But can I talk with doctors and fertility specialists? Nancy helped me to find my process, which was in a certain way backwards from many people’s experiences. For me the challenge was this more linear place, and Nancy helped me see this in a way that nobody else was able to because their own stuff was in the way. People would imply that it was so hard to get feminine and that was not hard for me. The hard part was cultural in some sense – it was to say, “I’m going to talk with a doctor.” I wouldn’t even think to do that. The more I worked with Nancy the more I realized that it was about having a baby for me – and not about other things. This was really surprising to me because I kept on thinking, “It’s okay. I can let this go.” And every time I came to that conclusion I felt a strong, “No. This is something that’s going to happen. I just haven’t figured out the right way yet. We’re just working on it.” Nancy helped me to tune into this feeling. With Nancy’s help and guidance I’m happy to say that I’m a proud mama to a beautiful baby and I continue to learn from this unfoldment. In getting to that place of training with Nancy it made sense to me to learn from her, as I work with women who are trying to get pregnant quite a bit. Nancy is a consummate professional in the realm of manifestation and I find the entire structure of the Energetic Fertility Method to be perfect. It’s an amazing container for dealing with a whole gamut of people, styles and learning modalities. So many people can be integrated into this one system because it touches so many different levels and it feels very integrated unlike so many other systems I know. For me, this is special because it’s inclusive instead of exclusive. I feel that my work with clients fits into that inclusive model. While training with Nancy to become a coach for her Energetic Fertility Method 8-Week Online Course, I enjoyed observing Nancy Mae working. EFM is a strong container for a wide range of people and the course itself is an extension of Nancy Mae. Working with Nancy personally and listening to her help people process what was going on for them, I learned so much about communicating with people who are less familiar with the energetic and feminine aspects of the self. The way that Nancy is able to hold people is really supportive, openhearted and clear. Each of the steps that come up when Nancy is talking with someone is so much arising from Nancy’s personal experience with each person as an individual. There is no cookie cutter approach. There were a lot of times when I trained with Nancy and just listened to her because I learned so much about how to bounce energy back and forth to people in a way that’s supportive. Nancy is able to really see each person for the individual they are. After Nancy and I worked with someone, we processed what happened. I got so much from the ways in which we talked and how it unfolded was very personal and powerful. As a mentor, Nancy is an excellent sounding board for all of the ideas that came up in my consciousness. Professionally I really learned how to slow down in my work. When I’m working with Nancy Mae I hear myself more clearly. I become more and more reflective on what I’m doing, the words that I’m using, my thoughts and feelings as they arise, my sense of groundedness. Instead of just being a container for clients, I recognize what my containership means. Because my personal and professional work are so close to one another I’m more present at home. Through working with Nancy, I became more and more lucid with my own process. If you are interested in working with Nancy Mae and being mentored into the EFM program, you have to be ready to face your stuff. You have to be ready to face the hard parts of yourself. This is going to help you to be a better self. There’s a real possibility and a real capacity for clients to project their hard stuff on you in this training and it’s really important for you to own your own stuff. That is part of being a good practitioner. Nancy Mae supported me through a challenging time as a single working mom, with no family to help, and a simultaneous intention to create a conscious partnership in my life. Working with Nancy offered incredible insights, healing unresolved issues, feeling even more grounded in myself and ultimately how to navigate a new relationship as a single mom. One year later I am engaged, pregnant with my second child and learning to deepen in partnership with myself, my fiancé and my growing family. If becoming pregnant has unexpectedly become a journey fraught with fear, confusion or sorrow for you, Nancy Mae’s book offers a much-needed balm and invaluable guidance. The Energetic Fertility Method™ is filled with compassionate wisdom, along with simple practices to help women who have difficulty conceiving. Nancy Mae’s life-affirming approach empowers women to take charge of their own lives, from creating a loving relationship with their bodies to becoming conscious parents. The Energetic Fertility Method™ draws from the teachings of Energy Medicine to show women how to look deeply at who we really are in order to understand and transform what is happening in our bodies. By integrating the wisdom of Energy Medicine and her own healing journey into motherhood, Nancy Mae has created a uniquely thoughtful, essential guide towards fertility and wholeness on all levels. Before enrolling in the EFM online course I was overwhelmed with all the resources out there. Intuitively, Nancy’s program made sense and spoke to me. After completing each week I am much more self-aware in the realm of fertility. I can see old patterns in a new way and how they are interfering with progress. I now have more tools to cycle through. It’s not easy, but it’s a big step in the right direction and I feel I have more internal support on such a difficult journey. I’m a firm believer that there is no such thing as coincidences. Everything happens as it should or was intended to. I’d been trying to conceive for a little over a year when I stumbled on Walter Makichen’s book, Spirit Babies. While searching online for him, I came across Nancy Mae’s site for EFM. I didn’t understand why it was taking so long for me to conceive and it didn’t help that I was heading to the big “40” at the end of the year. This course was the greatest blessing I’ve ever received. It cleared up so much energy for me that I was able to not only connect with my Spirit Babies, but more importantly connect with myself. From her lessons, to coaching calls, I was in an entirely different space. She walked me through my blocks and helped me to realize not only my truth, but that energy is all around us. We are energy. And until we shift ourselves in a positive flow of energy, things will remain feeling stagnant. I would take this class over many times, as it was that inspiring. I’m so grateful to Nancy and her staff for their beautiful words of encouragement and love. The most beautiful thing about this course is that you get out of it what you put into it. You feel empowered due to YOU doing the work; not someone doing it for you. If I took nothing else from this course, it would be that being a mother isn’t what makes you YOU. You having true love for yourself opens an infinite amount of doors for you. I’m open to the unknown and open to receive. Thank you so much Nancy for the opportunity to be reintroduced to who I truly am. I just wanted to send you a message and thank you. I’ve had irregular periods and amenorrhea for the past 5 years and my husband and I were nervous about my fertility. We’d been trying to conceive for a few months, but with no luck. I read The Energetic Fertility Method and it was amazing. I really felt a shift in my energy and conceived a couple days later!! We’re so excited to finally be pregnant and I really thank your book for helping me! As a result of working with Nancy and the Energetic Fertility Method™ I’ve never been more in tune to the needs of my body, both physically and emotionally. My intuition has increased tenfold and continues to expand daily. My actions are aligned with my values more than ever. My boundaries are healthy. My health, at 45, is the best it’s been since I was 17. I attended one of Nancy Mae’s parenting workshops and I have to admit, that as a scientist I found myself very skeptical of the idea of energy work/healing, but I went along with it because it sounded like an interesting adventure at the very least. I can now say without a doubt that something very healing happened for me in the course of that workshop – and that the next week was my most patient one ever as a parent. Now, weeks later, I still feel the ripple effects of that initial, deeply restful workshop and the simple tools Nancy taught me that I continue to use daily. I don’t completely understand how it all works – but my life is drastically changed for the better because of attending that workshop. I’m very much looking forward to working with Nancy again. The Energetic Fertility Method™ is a must read for women and men considering bringing new life into the world. Providing a conscious approach to the process of fertility, Mae shares with the reader her own unique and very personal fertility journey within the language of the energetic. The reader is skillfully drawn into the world of chakras as it relates to a wide spectrum of issues around fertility. Organized around the specific emotional, psychological and energetic functionality and operationalization of each one of the seven body chakras, the author intimately explores each energetic chakra in relation to optimizing fertility conditions. Within this functional chakra framework, the reader is taken on an intimate journey into issues of preparing the womb, understanding energetic space and the aura, as well as the importance of such energetic exercises as grounding for optimal health. This book is engaging as it takes you on a personal journey of growth where childbirth becomes a conscious action. By reading this book you become immersed in a self-initiatory emergence into a higher level of consciousness. This is a must read book for any person considering the journey of motherhood. In The Energetic Fertility Method Nancy Mae addresses the most fundamental and overlooked layer underlying fertility. Packed with simple but life-changing exercises, her book offers a woman the key to a deeper relationship with herself and insight into the unconscious energetic patterns that shape her life. Not only can these tools help a woman conceive a child, they can offer her the freedom to create the life she desires. Nancy Mae has a true gift as a healer and a communicator with the child you’re meant to have. She has helped my husband and me be in a relaxed state of mind after her communications with us and our Spirit Babies. This peace of mind has made all the difference in our lives as far as decreasing stress in our family planning process. We highly recommend Nancy to anyone working with fertility, whether conception is quick or prolonged. Nancy Mae is a deeply committed and talented energy healer. She offered me so much support during the darkest days of my divorce, helped me to stay grounded, healthy and vibrant. She continues to help me recognize and align with my highest potential, and as a result, is helping me to live the life of my dreams. Magic is happening, and I have Nancy to thank for facilitating the flow. Nancy knows and understands how to affect our energy bodies in such a way that she can create change on a level that many others are not able to access. The Energetic Fertility Method offers a fresh and novel holistic approach to integrating the body, mind and spirit. The exercises in the book are applicable for anyone who is interested in improving energetic hygiene and body, mind and spirit integration. Nancy has this “regal presence” and the energy felt really healing to me; something very “royal” and “high” that really resonated with me. I am somewhat of a truth seeker and am always looking for “authentic experiences” and I felt that Nancy fit this, which I really appreciated. The Energetic Fertility Method™ has greatly increased my intuitive capabilities and has been a wonderful resource on the fertility journey. Nancy is an amazingly insightful and encouraging practitioner. Nancy’s knowledge and teaching on the chakras is one of the most in-depth I have experienced. I learned more about the subtleties of the chakras than I have from any other course. Beyond the general knowledge about the chakras I have gained really practical tools for soothing these sacred energy centers. The practices Nancy provides are simple and extremely effective. They are all nourishing and some are very thought provoking. Each week I felt there was one or more that was exactly what I needed. Nancy takes you on a journey to places you may not have considered and yet somehow they are transformative. Nancy’s writing is straightforward and easy to follow. After taking the Flow & Grow course I have a much better understanding of how energy moves through my body, affects my overall health and how I can support a healthy energy body. I know I will use these tools over and over again in years to come. I just wanted to say thank you so much for a lovely workshop on the Energetic Fertility Method. I learned so much helpful information that I am using every day. The information was so valuable and helps me in my fertility journey. Thank you!! What a special workshop it was! A lot has come to fruition since I attended. Everything feels lighter. I also feel more drawn to work on my spiritual self. Thank you for helping to show me where I can grow. To put it simply, it’s unlikely we would ever have conceived our beautiful daughter without Nancy Mae’s insightful, honest and inspired help. Following our first session with Nancy, after 7 years of trying to conceive, we understood what was holding us back and a few weeks later we found out I was pregnant! Nancy’s work requires you to commit to yourself and your energetic health, but with a clarity of vision from her insights that means any work you do is likely to yield amazing results. I will always cherish the memories of the sessions we had because they were filled with spiritual guidance and support that felt so loving, so authentic and so aligned with our highest path. Working with Nancy not only enabled us to connect with and conceive our spirit baby, but also to communicate regularly during the pregnancy and just after birth. Having had such difficulty conceiving, including 3 miscarriages, this communication was deeply reassuring for us. I have no doubt that our spirit baby, now 8 weeks old, was also very supported by these communications which enabled her to express her feelings and any needs too. I only wish that this understanding of spirit babies, conception and energy work was more widely recognized and used because our world would be a much more balanced place. If you are thinking of having a session with Nancy, I couldn’t recommend her more highly. She could well help you to realize one of your greatest dreams. She certainly has for us! The Energetic Fertility Method is a treasure of tools to assist you in your fertility journey and beyond. The holistic approach presented honors the importance of treating the body’s entire energy system as an essential ally to any reproductive plan. In an overall spirit of curiosity, Nancy Mae’s The Energetic Fertility Method offers gentle self-inquiry processes to help you discover your unique needs, while renewing your intentions and desire for having a child. After 4 years of multiple high tech and low tech approaches to help me get pregnant, I met Nancy Mae. I did 10 weekly sessions with her leading up to an embryo transfer. Having a baby always felt like something that would happen far off into the future – not ideal with an embryo transfer coming right up. It may sound strange, but Nancy helped me connect with the spirit of the embryo. She helped me have the kinesthetic experience of feeling my baby in my body. It felt like she helped take something that was going to happen in the future and gave me the experience of feeling it right now. This was a critical missing piece for me. The homework practices she gave me were spot on in helping me connect to myself and forthcoming baby. I am grateful to her for helping me with this missing piece. Happily, the transfer was successful and we now have a beautiful healthy boy who is napping as I write this. After experiencing many integrative approaches to fertility (which were all helpful steps along the way), I can honestly say Nancy Mae skillfully offers a unique piece that may be the missing link for other women too. Nancy Mae’s course came to me at a vitally important time in my life, just after suffering a dramatic emotional breakdown. I yearned for practices that would allow me to receive realignment instead of working for it, and this course was an answer to that prayer. The simple meditations and visualizations were easy to receive. The journaling exercises were powerful in bringing to light habits and patterns, even those borrowed from my family of origin, that can now be released. This course has been vital for my healing and rebuilding of my spiritual foundation. Today I feel more aligned to my true self and have so many new techniques and practices to keep me protected and aligned on a daily basis. 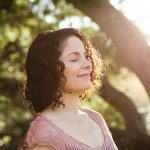 Whether you’re feeling a little off, nearing a breaking point, or recovering from one, I highly recommend Nancy Mae’s Flow and Grow Course for restoring and increasing alignment, well-being, and vitality. It’s hard to put into words just how much much this course has helped me. Not only do I have a better understanding of and have come to peace with my fertility journey, I have also changed how I approach my every day life. I still face challenges, but thanks to Nancy and her equally amazing team, I am able to deal with them in a more peaceful and proactive way. So, if you are feeling weighed down with any sort of stress (not just fertility), this course is a must do. It will change your life. My personal growth is huge since the workshop. I did some more work on myself and the opportunities that are coming my way now are so lovely, and I still choose wisely with my heart and not my brain. I am very excited! I would love to learn more about your work. I am so thankful that we had the chance to meet. I have had the great pleasure of working with Nancy and doing her Energetic Fertility Method course, and most incredibly after 4 weeks into the course I was pregnant! Nancy is incredibly nurturing and grounding. She exudes a real peacefulness that is contagious. The techniques were incredibly healing and empowering and just what I need to clear the space for our baby to come in. I am now entering pregnancy feeling grounded and full of love. This program is a must for anyone on the path to pregnancy and motherhood. I learned tools that will help and guide me forever more. I am incredibly grateful for Nancy’s course and her loving support. The Energetic Fertility Method is full of potent, simple exercises that provide Tools for a Healthy Conception. Nancy Mae presents connections between emotions and intuitions as a body-talk dialogue that induces reproductive health and stimulates fertile ground for conception. Nancy Mae writes straight from the heart with honesty and compassion. The Energetic Fertility Method™ offers a feast for the heart, soul, and mind, providing such a rich and varied menu that no one will leave the table hungry. My road hasn’t been easy when it comes to trying to conceive. I was married in 2009 and my husband passed away in 2011. When my husband passed away I thought for sure my days of conceiving were over. I looked into adoption many times as well as IVF and the like. In 2013 I met my best friend and partner. In 2015 we decided to try to conceive. An entire year went by with nothing but frustration and confusion. I’d gone to so many seeking guidance on what I was doing wrong. At the beginning of 2016, I stumbled upon a book titled, “Spirit Babies,” by Walter Makichen. This book opened my eyes to a world known and unknown to me. I went on a search to find Walter Makichen all to realize that he’d passed away. That’s when I reached out to Nancy Mae. I joined the Energetic Fertility Method 8-Week Online Course and my life changed forever. In August of 2016 I began the EFM course. I was introduced to Nancy Mae and Minga Lily (whom Nancy was training to be a coach at the time) who would coach me on a weekly basis in what I presumed to be my Spirit Baby quest with the intent to clear away a few blocks in order to conceive. Nancy and Minga created the space to allow me to feel and experience energy and feel safe while going through the process. Little did I know that the energy from these two blessings (Nancy and Minga) would forever change my life. Each week we’d meet via a coaching call and each week I’d grow in consciousness. I had “aha” moments each week with them, so much that my interest in connecting with my Spirit Babies became second fiddle compared to my new interest in my own growth spiritually. I was connecting with my self – with my higher self – in such a way that hadn’t happened before. I knew of Walter Makichen’s work and the process of connecting with one’s Spirit Baby. I was also aware of the Spirit World and the limitlessness of it all. What I didn’t know was how taking this course would go beyond my initial expectations and shoot me way passed the initial mark I intended to obtain, which was conception. In retrospect, I conceived. I conceived new concepts of myself. I conceived the concept of being limitless. I conceived the knowing of not being alone. I didn’t need to be a mother to define who I was. I learned that my reasons for wanting a child were not in alignment for what was best for me at the time and to be ok with that. I stepped out of the EFM course with a sense of who I truly was and AM. I’ve finally stepped into my truth and it took this course to allow me to realize my gifts. I’m so grateful and so thrilled to want to share this method with others. I’ve continued working with Nancy since the EFM course completed. I needed to know and learn more. When I have questions or when information I get intuitively doesn’t seem to make sense to me Nancy is able to bring in clarity and provide me with tools to help me continue on my journey. Aha moments continue to be a part of my life. I’m on this journey to be of service in the ways that I can and learning from Nancy has been instrumental in my growth. I considered myself at one point to be a professional student, as I was constantly looking outside of myself to learn and grasp more of who and what I was. I noticed that with each teacher I came across there was always something missing or lacking. What was missing was an understanding of the foundation of who and what YOU are. Nancy has this innate ability to hold what feels like this loving cocoon for you to release any energy no longer wanted or needed. Out of all of the classes I’ve taken, I’ve never come across someone that directs you to the source of any and every question you may have which is YOU. She taught me how to deal with what was perceived as my many roadblocks and limitations head on and to honor myself. What an amazing concept! Nancy Mae’s teachings are the foundation you’ve been missing on your path/journey. These are the aha moments I’ve experienced every time we’ve spoken. What we desire as humans is so minuscule compared to what the Spirit World has in store for us. Anything and everything is beyond our wildest imagination. It’s a beautiful experience to be open, and then be opened even more by the many blessings that clearing blocks brings you. Nancy Mae is a great teacher! Nancy Mae is a great teacher! Her Flow and Grow online course lays out how your energy works, what affects it and what to do to help balance it. She is able to explain very complex concepts in an easy and relatable way. She gives examples that make sense and that you can apply to your everyday life. Her audio recordings are easy to follow, calming to listen to, full of information with doable action items that give you real and healthy results. I feel blessed to have Nancy Mae guide me through my studies of Intuition Medicine®. With her knowledge and compassion, she is able to hold sacred space for self-discovery, helping to build confidence from within and to support one’s own abilities. The tools that I developed with her will be everlasting in my growth. I truly value our work together as powerful and meaningful. Nancy was able to support me in a way that gave me clarity in several practical areas of my life. While I can’t guarantee any specific results and the testimonials on this page and on this website do not constitute a warranty or prediction regarding the outcome of an individual using my products or services for any particular issue, these clients report having a positive experience.